Leslie is a mother, wife, yoga teacher, and childbirth advocate who thrives on connecting people with resources and facilitating growth. A twenty year career as a massage therapist informs her work as a childbirth educator and women’s health advocate. Leslie has worked with pregnant women since 1992, taught prenatal and postpartum yoga since 2000, and is a Lamaze Certified Childbirth Educator. Leslie holds an MS in Sociology where her area of focus was health and illness with additional coursework in public health. She is fascinated by the intersection of biology and culture that is ever present in the childbirth and early parenting arenas. 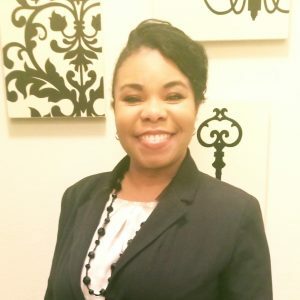 A member of the Emerging Nonprofit Leaders Program Class of 2013, Leslie completed a Certificate in Non-Profit Management through Non-Profit Learning Point in 2014, is the 2016 recipient of the Pat Asch Fellowship for Social Justice, and is a member of Initiatives of Change’s Community Trustbuilding Fellowship cohort of 2018. She looks forward to the day when Richmond will be known far and wide as a mother/baby/family friendly city. As an advocate for maternal mental health and wellness, Portia has written about her experiences as a contributing writer for April Magazine. She holds a B.A. in art history from Wellesley College and a M.A. in teaching and social sciences from Emmanuel College. She also holds a certificate in psychology and counseling from UC Berkeley. 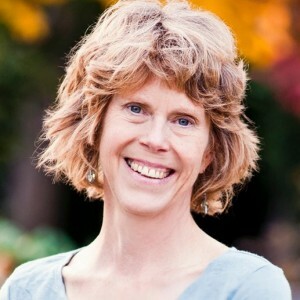 She has studied prenatal, birth, and attachment psychology with Elsa Asher and Chanti Smith at the Prenatal, Birth, and Attachment Clinic in Berkeley, California. Portia is a research assistant at the S.H.I.E.L.D. Lab at VCU, where she works on the Family Expression and Emotional Life Study (FEELS). And she is part of the Richmond mindbodyspirit and offers consultations at their monthly gatherings at Archstone Counseling & Treatment. Portia’s wish is that all mothers will be loved and supported from pregnancy to birth and early parenting. She understands that “it takes a village” and is dedicated to creating, nurturing, and sustaining this village in RVA. April Fraser is the proud mother of four, happily married to her best friend. 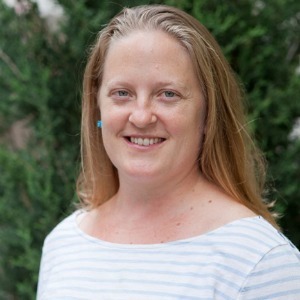 She is a passionate birth doula and natural childbirth educator of nine years, serving many Richmond families over the course of that time. April was a member of the 2011 Mayor’s Breastfeeding Commission, which served as a catalyst in launching programs now serving Richmond area moms. April completed her Doula Training with toLabor. Shortly thereafter she felt a strong call to leave her job in the corporate world. She returned to college to further serve her community and complete her Bachelor’s of Science in Nursing at Bon Secours Memorial College of Nursing. That call has led her to serve families in various capacities. Her clinical experience and professional knowledge of disease processes have been a great addition to her love of all things related to birth and women’s health. April currently works at McGuire Veteran’s Hospital as a Surgical ICU nurse serving Veterans and their families. Her job as an ICU nurse allows her to work and practice her first love as a volunteer birth doula and childbirth educator. Malikah is a wife of 13+ yrs, and mother of two young boys ages 3 yrs and 7 yrs old. She loves, gardening, family wellness, nature exploration, and a strong cup of good tea. 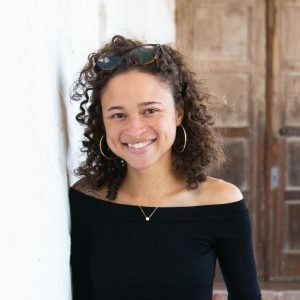 She has been working with women centered organizations since she was a young teen, volunteering with local religious organizations to help refugee women, and children resettle in the Richmond, VA area. 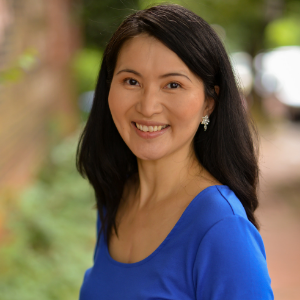 Professionally she was trained in IV medications preparation, and worked in an in-patient hospital pharmacy for years while completing her undergraduate studies at Virginia Commonwealth University. She earned a B.S. in Biology, A.S. In Applied Science, and Certification of Integrative Health Coaching from the Institute of Integrative Nutrition in NY. During her first pregnancy she studied yoga and earned her RYT-200 certification with the intention to share something that was valuable to her with other women in under served communities. In 2012 she started PURE Wellness & Coaching where her passion for woman’s health and wellness took permanent residency in her life’s purpose. She has been advocating for woman’s health, and well-being ever since. 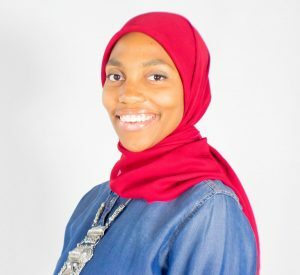 Malikah is absolutely ecstatic and honored to join Nurture’s Board in providing services, building awareness around woman’s health issues, and creating safe spaces for support, and care for mothers, and moms-to-be in the Richmond, Virginia area and beyond. Pretending to be a restorative doctor or an encouraging teacher were some of Melicent’s favorite games a child. She often pretended to treat her wounded dolls through a full recovery or stood enthusiastically teaching the lessons that she had learned only hours before in her own elementary school classroom to a class composed of her friends, filling in the empty spaces with stuffed animals. Through her young eyes, her dream was to become a world changer by creating a society full of individuals who were empowered and afforded the same opportunities to be healthy. Fueling that passion into educational pursuits, Melicentearned her BS in Biology from North Carolina A&T State University and Master of Science in Public Health at the University of North Carolina-Charlotte. 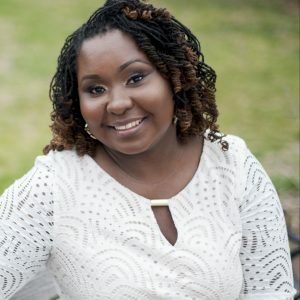 She is currently pursuing a Doctorate of Public Health from Georgia Southern University. Melicent’s personal, academic, and professional paths have afforded her opportunities to work collaboratively across multiple sectors to prevent disease and promote health and wellbeing. In her current work at the Virginia Department of Health, Melicent works with partners to reduce chronic disease burden across the lifespan throughout the Commonwealth by providing support across all sectors to ensure that every child, including her two daughters, have the opportunity to learn and grow to become healthy, thriving, and resilient adults. Melicent is honored to serve on Nurture’s board and stand alongside others who share the same passion and vision of supporting families in the Richmond area. Cait was raised in a military family that frequently moved, fostering a deep love of travel. Richmond has been her home since 2015. She and her husband have three children and cannot wait to build a huge family with their dogs in RVA. Cait received a Bachelor of Science in the History of Medicine from the University of Rochester, and a Master’s in History from La Salle University in Philadelphia, Pennsylvania. 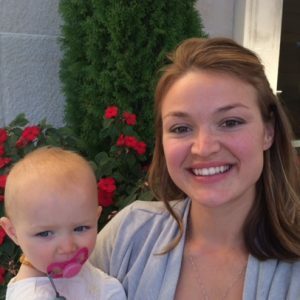 Before becoming a mother, Cait was a Montessori Secondary Level Educator in Lexington, Kentucky. Prior to that she was a Professional Tutor for LaSalle University’s Academic Discovery Program . Cait believes strongly in the idea of giving back to her community. She is an outspoken person who enjoys learning and spreading information. She is passionate about the pregnancy and postpartum stage of life as it affects everyone, yet seems to be marginalized by popular culture. Born in California, raised in New Jersey, and transplanted to coastal Virginia in the midst of high school, Cheyenne didn’t hit the Richmond scene until 2009, to attend the University of Richmond. There, she created the interdisciplinary major Educational Activism in the Arts — a mix of courses in Sociology, Rhetoric and Communications, Education, and Theater — and minored in Creative Writing. Today, Cheyenne is a freelancer and a professional birth doula, trained by toLabor, Ancient Song, and Doula Trainings International. She runs The Educated Birth, an online shop of birth educational materials, including Everyday Birth Magazine. Her passion for all things creative leads her to pursue projects of the design, photography, and writing variety. Alexis Willard is a stay-at-home mom with 6-year-old and 2-year-old daughters. With her first daughter, she enjoyed a wonderful pregnancy and childbirth, but noticed a lack of comprehensive, centralized resources for Richmond families. She came to OmMama through the Baby & Me yoga class with Leslie Lytle. Inspired by the fellowship of the yoga class, Alexis jumped at the opportunity to work with Leslie and other dedicated women to bring to life a maternity resource center in Richmond. While delivering her second daughter four years later, Alexis noticed quite a change in the hospital procedures and attitudes. Encouraged by this, she is dedicated to continuing the effort with even more support of the community and medical professions. Prior to motherhood, Alexis worked in the green building industry. She worked closely with committees at a non-profit organization, and understands the cooperation it takes to achieve the desired goals. Alexis looks forward to helping other women and families in the Richmond area enjoy a healthy and satisfying experience, throughout pregnancy and beyond. We’re growing our board and committees. If you are interested in improving the local environment for pregnancy, birth, and early parenting through board or committee service at Nurture, please inquire at info@NurtureRVA.org or click this link.